We’ve all been there: on the train/bus/plane listening to music and your eyes start to droop. Before you know it, you’re drifting off to sleep. It doesn’t seem right to fall asleep with the back of your head against the seat, because chances are you’ll wake up, mouth wide open, drool rolling down your chin, and half the carriage looking at you with frustration for snoring. Instead, you try to fall asleep resting on your ear – except you can’t, because there’s a bloomin’ great big headphone in the way. sigh. Will there ever be a solution to sleeping while listening to music? Enter the SleepPhones, designed to ‘Make Travelling A Dream’. 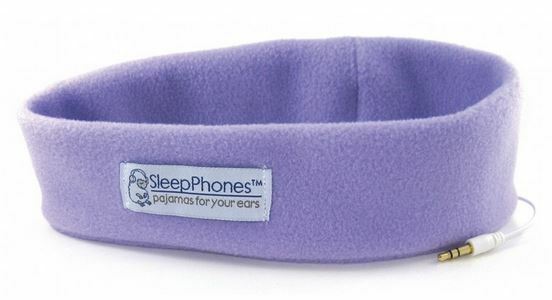 The SleepPhones are just a soft headband you can place around your head containing inbuilt headphones that connects to your MP3 player. The idea is that they are comfy enough to wear while you sleep, meaning you can easily drift off listening to the dulcet tones of Mozart or Ricky Martin. Whichever floats your boat. I trialled mine on the five-hour train journey to Cologne where I was eager to drown out the cries of babies and catch my 40 winks. At first I felt like a bit of a prat, hideously self conscious about whipping out what at first looked like a sleeping eye mask. But, when I realised no-one was giving a single toss about what I was wearing, I started to relax. 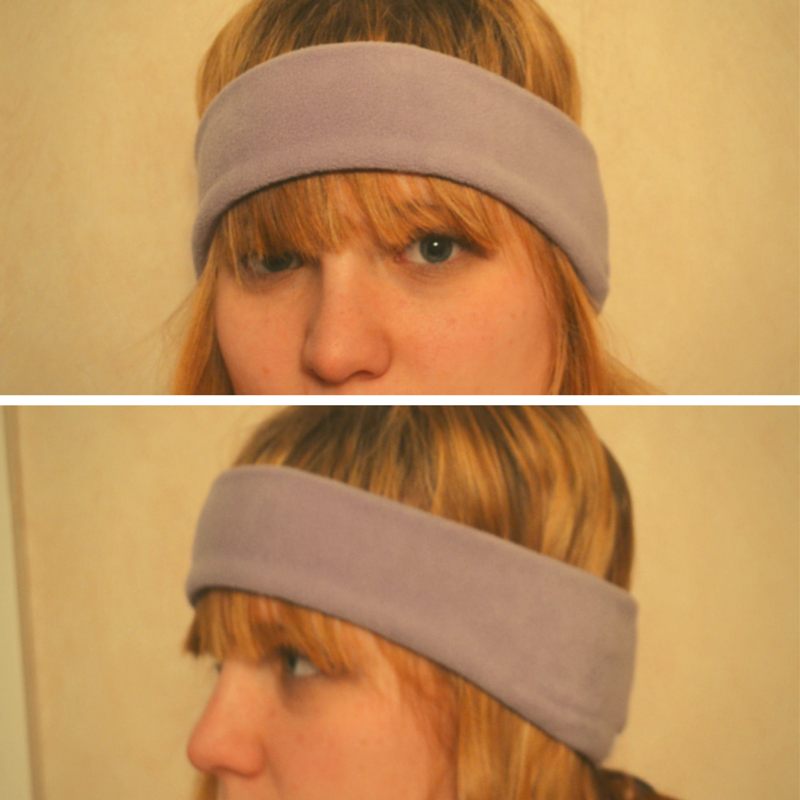 The headband really does offer you unrestricted movement so you can get comfy in whichever position you like. It took a little while to get the volume right – so you can hear it but also so you didn’t annoy everyone around you – but I’m just paranoid like that. It also felt like a little pillow and helped to keep your head a little warm which definitely helped me as I drifted off. Because the material is still quite thin, it’s still possible to hear what’s going on around you, as well as any vital announcements. 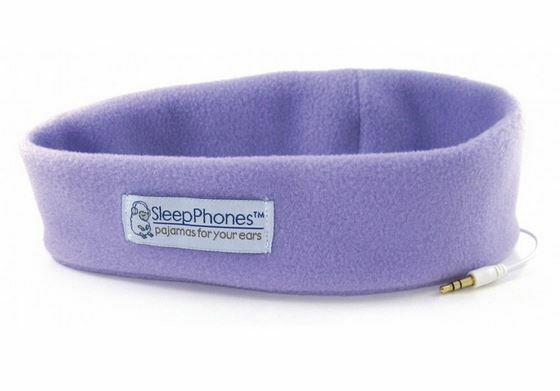 You can also get SleepPhones with a volume control on the lead so you don’t have to worry if you want to pop your MP3 player in your pocket away from sight while you settle down for some sleep. In fact, the only real thing you have to worry about is getting a little too comfy! And if you’re more of the sporty variety, athletes will be pleased to know there are special RunPhones available just for you, made of moisture-wicking material to help mop up sweat (ew). SleepPhones aren’t the kind of thing you would wear while walking out and about on your day-to-day…more when you’re, uh, trying to sleep (I guess the clue is in the name…). They can also play a little havoc with the old fringe, so I spent a little while making sure mine wasn’t sticking up. However, the SleepPhones really are a dream come true for travellers who like to maintain a certain level of comfort on the road! Many thanks to SleepPhones for providing me with a product for the purpose of this view. As always, all opinions are my own! What do you think of the SleepPhones? Would you wear them while you’re travelling? Great idea! I don’t listen to music all that often whilst travelling but this would suit my husband down to a T as he’s always trying to drift off to his music! And it doesn’t look very comfy! This looks like a great product to wear when travelling. Super cozy!